The 13-year-old girl who was injured in a accident at a theme park in Veyangoda yesterday has succumbed to injuries this morning (5). A 47-year-old woman died while her daughter was critically injured in the incident at a private theme park at Naiwala, Veyangoda. 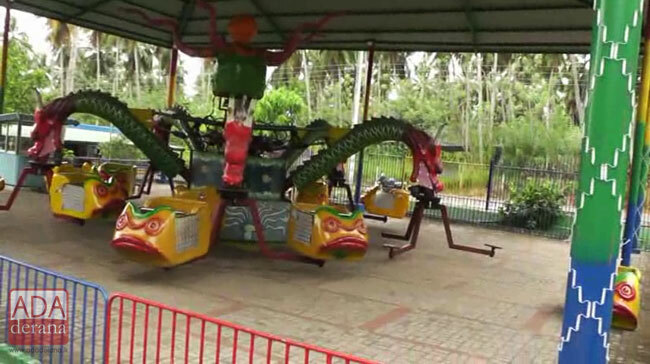 Police said the woman and her daughter were on one of the rides at the theme park, a rotating ‘Octopus’ carousel, when the compartment they were in had suddenly collapsed while rotating at around around 11.00 a.m. yesterday. The 13-year-old girl was rushed to hospital in critical condition, however she had died while receiving treatment at the Gampaha Hospital this morning. Meanwhile the Police Spokesman said that 6 persons including the manager of the theme park has been arrested in connection with the incident.